Fangirls, anxiety, though not an actual person, is a huge villain in my life, and that of many of my friends. distress or uneasiness of mind caused by fear of danger or misfortune & a state of apprehension and psychic tension occurring in some forms of mental disorder. Anxiety can cause people to be stressed, and depressed, and it can lead to things like panic attacks and depression. 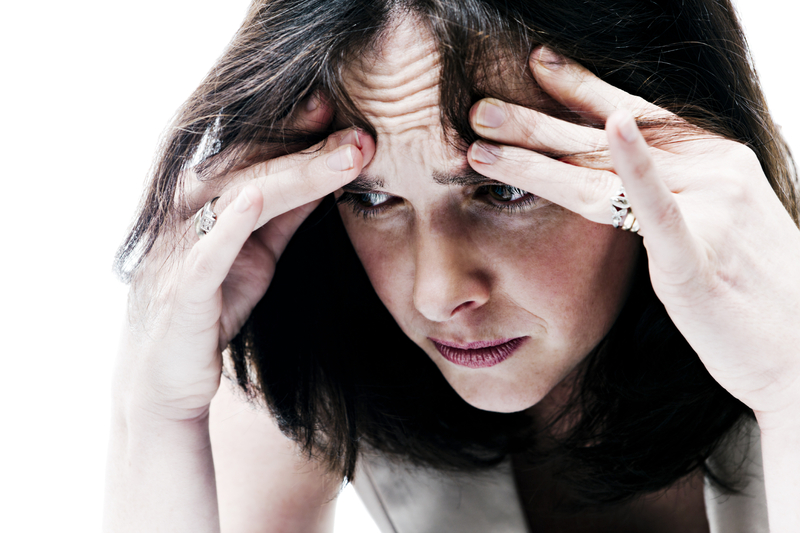 For me, anxiety manifests when I am overwhelmed by stress. I tend to cry a lot, and hyperventilate. I am very bad with dealing with anxiety because I do not know what to do to help myself. My friend has told me that he deals with things by going outside, and going to his friend’s house. There, he says, he has a cup of tea, and just breathes. It’s fantastic that his friend and he are so close that he can go to his house without his friend being there. 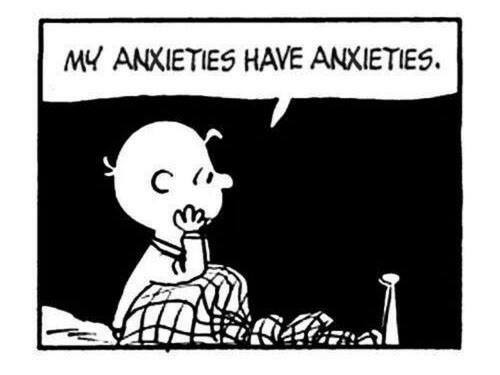 I don’t feel that way when I’m anxious. When I am anxious, I end up stressing myself out so much that I can’t move. I curl into the fetal position, and squeeze myself so hard that I end up getting cramps. Adding pain to the stress really doesn’t help. So what is there to do? There are psychologists to talk to. These are people who have gone to school to talk to people, and help them deal with their emotions. I used to go see a psychologist, but they tend to be quite expensive, and I learned that I never told her the bad stuff I was dealing with, only the good stuff. I have a thirst for praise, that I could get from her, but that didn’t help with my anxiety or depression. Since I wasn’t using her as a resource correctly, I stopped going. Medicine is also an option. Psychologists can prescribe anti-depressants and anti-anxiety medication, if that is an option you are comfortable with. In my experience, it can take a long time to find a medication that is right for you. I took medication very briefly, but I stopped because it made me feel like I couldn’t be happy or sad; I was just existing. And that wasn’t a good feeling. Changing things in your every day life can help deal with anxiety and depression as well. A healthy diet, exercise, and time spent outdoors can help make you a happier, less stressed person. I have an awful diet. I am trying to eat more fruits and veggies, but it can be hard when you’re always on the go. It’s something to work towards. Exercise increases endorphin levels, and as Elle Woods said, “happy people don’t go around killing their husbands.” It’s bizarre, but it’s right. Sunlight and exercise make the happy chemicals come out more in your brain, and that will lead to an improved mood. I don’t exercise nearly enough, but on my morning walks to the bus, if the sun is out, my mood is pretty good. For me, anxiety is this big, looming monster that is always hovering. I feel like it’s always there, ready to pop out or grab me. Something I’m trying to concentrate on this year is doing things for me. Little things, like taking baths, and pampering myself now and then, to remind myself that I am worth the time and effort. 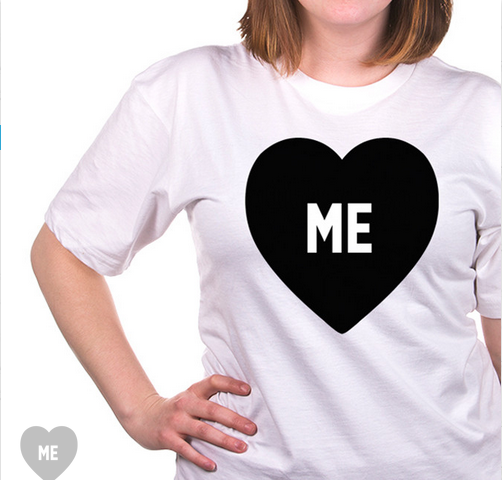 Heck, I bought this fantastic shirt the other day from Paulina Ganucheau, and I’m really excited to wear it, because I deserve to love myself, and so do you. I know February and the winter months are really difficult for a lot of people. Seasonal Affect Disorder takes hold and can make it feel like there’s nothing good. Remember that there always is something to look forward to, and that we’re always here for you. Feel free to email me (fangirlsarewe@gmail.com), tweet me (@DoTheFangirl), or add me on Facebook (Emily Althea ) if you ever need to talk. I’m here for you Fangirls, and together, we can take down anxiety.